We produce a huge range of Polyurethane mouldings in many different grades, hardnesses and colours, our tooling and machining capability along with our comprehensive bonding process allow any type of part to be undertaken. The moulds used to produce the castings are low cost ranging from temporary, low volume moulds to more intricate aluminium dies. Indeed in some cases it is possible to produce replicas from original components, retaining all of the original detail. 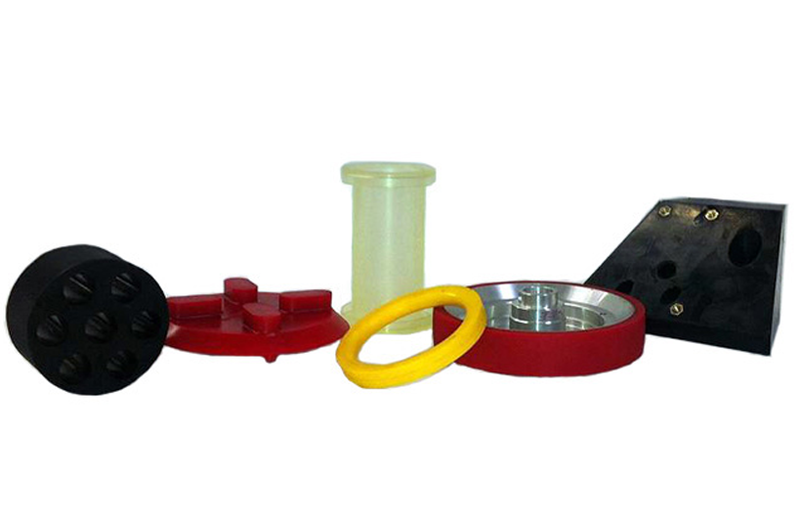 We cover many industries in the Polyurethane mouldings section including, car manufacturers, Earth moving equipment manufacturers, aerospace, wet blasting machinery and hydro-cyclone technology.